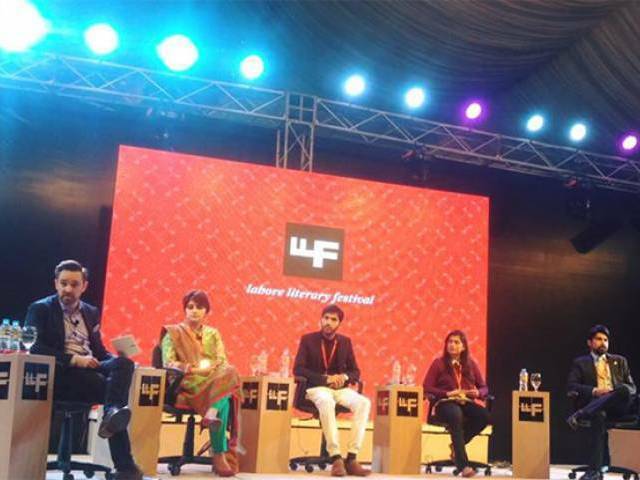 Lahore Literature Festival like every year was one of the most awaited events for book lovers. Though a little disappointing this year, some of the sessions were truly inspiring, informative and just so incredible. This particular session was something every Pakistani should have witnessed, especially the youth. For those of you who couldn’t witness the grandeur of it, I am here to narrate it. 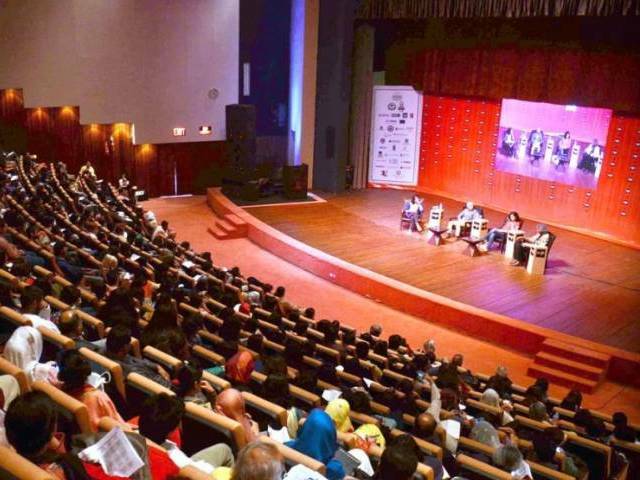 The session was presented by the United Nations Development Programme (UNDP), mentored by Marc-Andre Franche and the panel consisted of Gulalai Ismail, Syed Muzamil Hasan Zaidi, Saifullah Magsi, Sana Mir, and Waqas Ali. Senator Saifullah Magsi is the youngest senator of Pakistan. He is the son of Nawab Zulfiqar Ali Magsi and was elected senator in March 2012; he is the former Minister of Planning and Development to Balochistan. He holds an LL.B degree from the University College London. Gulalai Ismail: is the founder of Aware Girls. She is a Pashtoons and challenges the culture of violence and oppression of women in KP and around Pakistan. The NGO was set up in 2002 and has won many awards since. She is also a graduate of biotechnology from Quaid-i-Azam University. 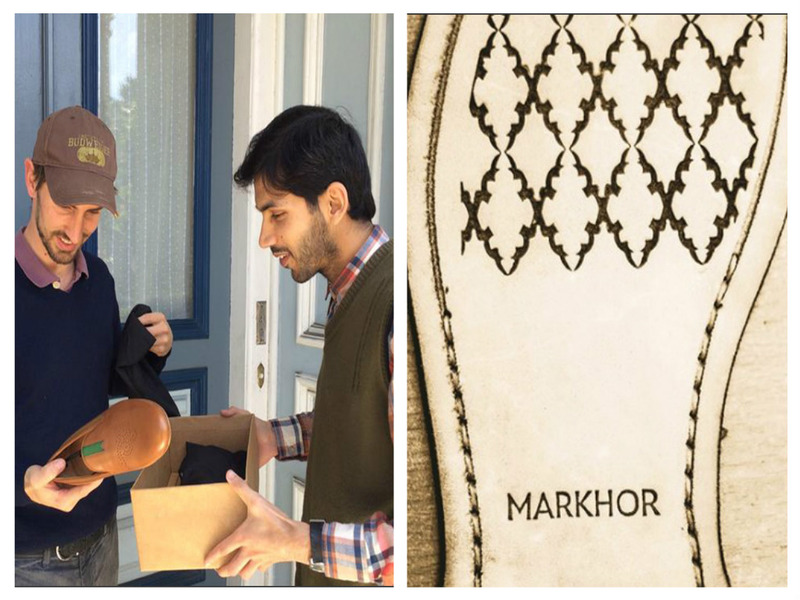 Waqas Ali: owns the shoe brand Markhor. In just five years he has established a brand, which makes tailor-made shoes, in Okara and delivers them worldwide. He is a dropout and doesn’t recommend it to others; he believes that the power of social media has taken him places. He has an office in Sans Francisco too. 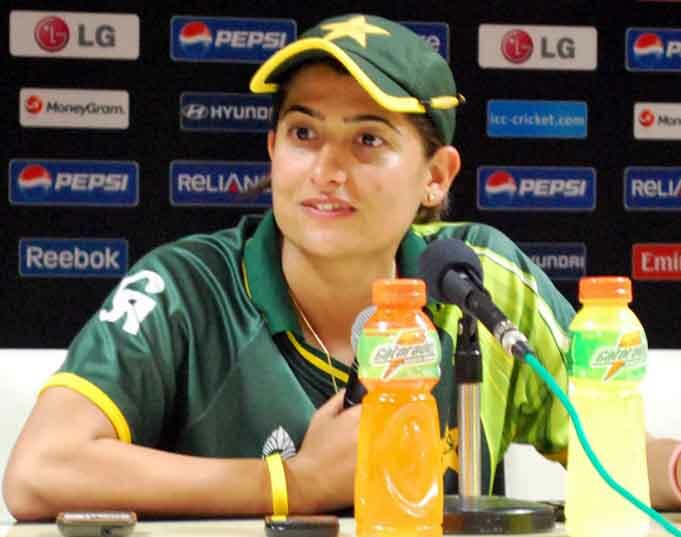 Sana Mir: is the Captain of the Pakistan national women’s cricket team since 2009. She started cricket from the streets of Pakistan and has become one of the top-ranked bowlers of the ICC. 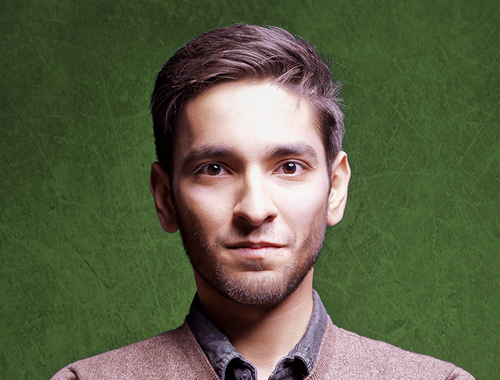 Syed Muzamil Hasan Zaidi is the CEO of House of Lolz. He is a graduate of computer sciences from FAST-NUCES. He uses social media to bring about positive changes. He was last in the news for his Message for Paris video. The group comes from a verity of backgrounds and have excelled in their respective fields. This indicates note only the talent Pakistan possesses but also speaks volumes about the fact that if we set our minds to something, nothing can stop us. The discussion revolved around the Youth of Pakistan that has to be enlightened and pushed to achieve excellence because they are undoubtedly the future of Pakistan. Did you know that Pakistan population consists of 64% of youth; these are people below the age of 34 years? This puts a lot of pressure on the people of Pakistan to educate these sprouts, as economical political and sociological future of Pakistan depends on the youth and the things we do for them now will determine the turn of events in the future. Marc-franc Andres shared an UNDP research which had concluded that the aspirations of the youth of Pakistan depends, on how well their parents did, they think that they will perform worse or on the same levels as their parents did.Sana Mir thought that saturation is ending in Pakistan. “New things are being introduced which we had never even heard of. Even sports are being taken up seriously by girls,” she said. The society is definitely getting a lot of exposure, for one the internet is such a great tool. We know of so many fields that we hadn’t even heard of before. We have online degrees available to us in the comforts of our home. We also have help available; we can read about so many things and people. Girls know their rights better now. Things are undeniably looking up for us. Muzamil said, “The problem is that students do not have a lot of exposure. As we have no average hero’s in the society. We see only the American dream there isn’t a Pakistani dream.” This is also an argument that cannot be denied. We usually look up to people who are richer than us, born with a silver spoon, so as to say. Being intimidated by their success, because usually nothing happening around us ever seems to go right, right? Doesn’t it sound simple? It is as simple as it sounds. Set your goals and one day somehow or the other you shall succeed. If we keep accomplishments just for the rich, we are the ones losing. Another issue that Pakistanis faces for the foreseeable future is the lack of quality of education of education is provided at all. This suggests that even in developed areas of the country, only the privileged have the option of quality education. Gul very precisely puts, “Lack of education basically points towards the priorities of the governments and not resources necessarily. We didn’t plan it out for the generations to come. We became a security nation, investing on war, army and military”. She also praised KP’s PTI government for initiating university projects and plans in its tenure as it is a stepping stone for KP’s youth. On low numbers of females in schools, Gul said, “Education is not linked to professionalism, it is just taught. People are scared of empowered women, the reason they don’t send them to school”. Waqas Ali, who thinks entrepreneurship is the answer to boost employment rate of the country said, “We need to have a vision” he says that lack of opportunities and information is just an excuse, to start his business he took the governments help. He was supported by the PTB and says it’s the matter of seeking what you desire with the utmost fortitude. Gul Ismail thinks that to mobilize issues further we need to strengthen the grass root level, “Unions of different fields are very important, self-sufficiency is the key to better opportunities,” She shred that the lack of female entrepreneurship in the market is because they usually don’t have access to a lot of things. They can’t talk to vendors or do not know how to, sometimes their ignorance is taken advantage of. Basic economical and political knowledge is very important along with knowledge of their rights and laws. In their concluding notes, they all told the youth to believe in themselves and their dreams. Waqas Ali emphasised that the youth is made to believe in slogans and not actions, cite the example of “Tabdeeli Aa Gai Hai”. Talking to Parhlo exclusively he said, “DO not watch TV and make notes of all your observations.” He says he hasn’t watched TV for the past 9 years or so and have been very satisfied with life. TV brings in a lot of negativity and diverts you form one’s mission. 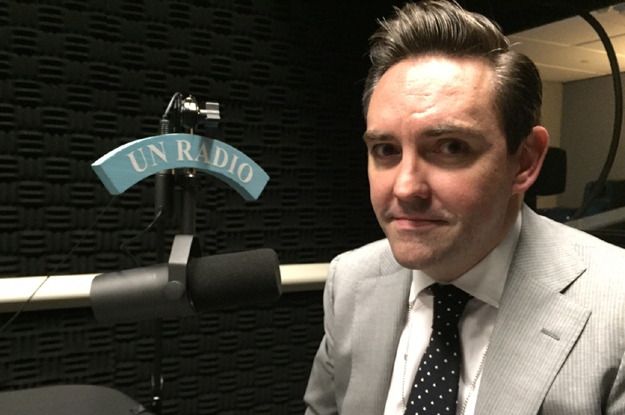 This is the head of a self-made a business that is international now, who else would one listen too. This is one girl; every girl aspires to be, in one way or the other. Be it in sports or any other field. Gul Ismail while talking to Parhlo said, “Our traditional norms and values which are against basic human rights should never be an excuse for us to be against human rights.” She pealed to the youth to stand up against any incident or tradition in one’s area which is against human rights to be the small change this country needs. Muziamil asked the youth to start dialogues, question things and seek answers, “Tolerance has nothing to do with dialogue, we are tolerant but we have no idea what we are tolerant off.” Do we know exactly what Christianity is, Shia-ism is, Hinduism is? We will build a stronger tolerance if we know what all these things are. We should try to understand others in the best way so that we grow into a peace loving nation some day. In the one hour session, these little heroes of the nation covered a verity of subjects with immense grip and knowledge on all of them. Doesn’t it make you want to be something influential some day, to change the thoughts and break barriers that we face all the time? If you do have such a story share it with us. If you want to be a story, better late than never!! Is CDA Benefitting Financially From Its Anti-encroachment Drive?